This bold, compelling and topical story about bullying is told from the perspective of the bully and the bullied. You won't be able put it down until you've reached the conclusion. Jess's life is difficult enough without Kez picking on her – it’s turning school from a safe place into a nightmare. Kez has plenty of problems too but she finds comfort in knowing she is better off than Jess - or so she thinks. A hard-hitting and even-handed look at bullying and the issues facing teenagers today. 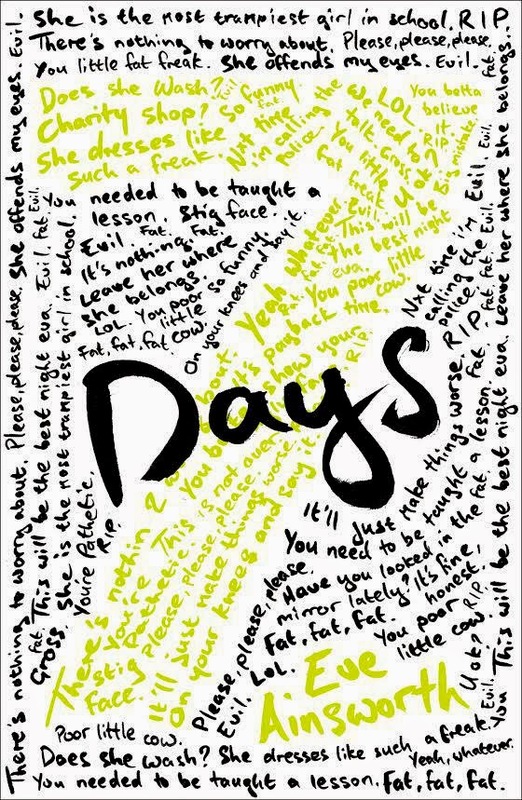 As soon as I scanned my eyes over the first page- I knew that, "Seven Days," was a book that wasn't going to take me long to read. I was hooked. The story takes on a completely different perspective: it is told by two points of view of completely different teenagers. Jess, is the shy, overweight, harmless girl. But- Kez is making her life hell at school. Kez is a typical bully; she is happy to poke and push at Jess, hoping she will fall over, and never get back up. She enjoys that she is better off than Jess: but is she really? Lyn is is Kez's boyfriend; and doesn't agree with what she is doing to Jess. How are him and Jess connected? Will this situation come to a sticky end? Eve Ainsworth has clearly made this book very hard hitting- covering issues about teenage bullying. It's often an issue that society will brush under the carpet- whereas Ainsworth hits the issue, square in the face. She has powerful, compelling writing that slowly pulls you in, and her characters have been moulded perfectly. I love how the story has been told in the perspectives of the bully and the victim, it is isn't your typical bullying type story. Both of the characters are easily relatable- as many teenagers have either been bullied, or have been the bully, maybe without realising it. We need more bold authors like Ainsworth- as I can guarantee that teenagers would be shocked when reading the book. Overall, I rate this book 5/5 hoots- that every teenager should read, as this book has a really unique plot, that was very fresh and interesting.